Since running for president, Donald Trump has claimed to be pro-life, something that some people don’t truly believe. He continually praises Planned Parenthood, and has ‘joked’ that his pro-abortion extremist sister would make a “terrific” Supreme Court justice. 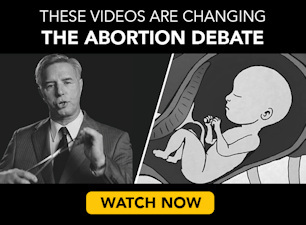 Previously, he supported partial-birth abortion. He claims to have “evolved” and changed his mind about abortion. But his latest comments on abortion have stunned people across the country, both pro-life and pro-abortion. Matthews: Do you believe in punishment for abortion? Yes or no? “Mr. Trump’s comment today is completely out of touch with the pro-life movement and even more with women who have chosen such a sad thing as abortion,” said Jeanne Mancini, President of the March for Life Education and Defense Fund. So loud was the opposition to what he said, that he recanted almost immediately. At first, he said that the issue was “unclear” and should go “back to the states for determination”; then he released a second statement saying that women were the victims in the situation and the abortion provider should be charged instead. The law must protect the lives of children in the womb. The abortion industry should be shut down and any abortionist who commits abortions should be held accountable for his crimes against women and children. As for the women who are facing crisis pregnancies, the focus should be on supporting them and their preborn children with pre- and post-natal care and adoption services. Regardless of what Trump’s motivations were for saying what he did, Krauthammer is right: it’s not what the vast majority of pro-lifers – who have consistently spoken about how abortion harms women – believe. The pro-life movement advocates for compassion, understanding, and love toward the women who are victimized by abortionists who prey on and exploit them when they are at their most vulnerable.